How to Hire a Profession for Home Health Care in Massapequa? Is it time to hire a caregiver for your mom? And looking to hire a caregiver, but wondering where to start? It’s important to find a caregiver who is a good match for a senior’s personality and needs. It’s the children’s responsibility to be involved in such a professional for their mom’s home health care services in NY . But don’t panic! You are not alone. Here in this blog, we have discussed what you need to know, and what you have to do while hiring a caregiver. To provide the most honest and accurate assessment of your mom’s needs, some necessary information about your mom is vital in finding an appropriate caregiver. Before beginning the hiring process, you should know your parent’s needs, personality, and importantly what type of caregiver your mom likely familiar with. This information will help you to determine what you should look for in a caregiver. Basically to pair your parent with a caregiver who is skilled, knowledgeable, and able to help keep your parent safe and healthy with their home healthcare services in Nassau County, check the review and rating at the company website and know about them. This will be very helpful to make your perfect decision. Check in with your parent to see how they are doing, and make sure that their changing needs are being met. 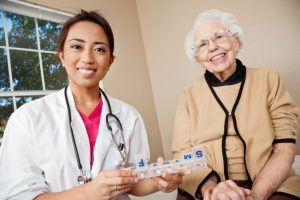 You will need to determine any skills or extra tasks, like taking your parent to doctor’s appointments, which the caregiver needs to be capable of doing. Even though you may get a great feeling about a particular caregiver through your interview process, a background check is still necessary.